Chicago's location in USDA zone 5 allows residents to select from a wide range of potential vegetables to grow. This city along Lake Michigan experiences four distinct seasons each year. Weather fronts from Canada, which can quickly change temperatures and conditions, occasionally provide some disappointments when it comes to vegetable growth. But otherwise, Windy City residents enjoy good vegetable harvests featuring warm- and cool-season crops grown in small plots, containers and community gardens. 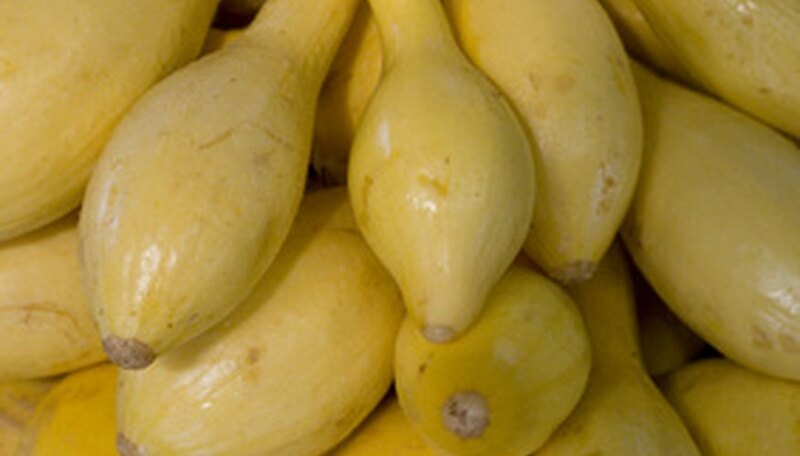 Summer squash grows particularly well during Chicago’s warm, humid summers. The seeds of these bushy plants can’t be planted in Chicago until after the last frost, usually in early May. Plant seeds in well-drained soil and full sun. The plants need lots of growing space, which is available in the more than 40 community gardens located in Chicago's parks. Pick the fruit when it is still tender and before it grows larger than 8 inches long and 2 inches in diameter. Tomatoes also grow best in well-drained fertile soil. Plant transplanted seedlings after the last frost. Depending on variety, support plants with stakes or cages as they grow with stakes or cages. Choose varieties that produce small, cherry-sized tomatoes and grow them in containers or hanging baskets placed on sunny porches or rooftops. Grow plants that bear fruit weighing up to 2 lbs. in community gardens or in smaller private plots. Pole and bush beans grow well in Chicago if they are placed in well-drained, crumbly soil and a sunny location. Plant seeds after the danger of frost has passed. Pole beans require something to climb on and are space savers because of their vertical growth but take up more space than balconies and porches allow. Grow them in backyards with few other vegetables or in a community garden using an obelisk or tripod made of tall poles to maximize harvests. Plant this vegetable as a transplanted seedling when frost is not a concern, as they are more susceptible to frost damage than tomatoes. Grow single eggplant plants that produce smaller fruit in 5-gallon containers. Fruit can range from dark purple to creamy white and take up to 80 days to mature. They tolerate dry weather, but water them during long, arid spells. Harvest fruit when it is up to 8 inches long and still glossy. Grow carrot varieties that are miniature and short. Plant seeds in 1-gallon containers that are 2 inches deeper than the carrots will grow. Thin seedlings to two to three plants in each container after they sprout. Grow carrots in the spring and fall months in Chicago when daytime temperatures are around 60 and 70 degrees Fahrenheit. Regularly water the plants as they grow. Joy Brown is a newspaper reporter at "The Courier" and www.thecourier.com in Findlay, Ohio. She has been writing professionally since 1995, primarily in Findlay and previously at the "Galion (Ohio) Inquirer" and "Toledo City Paper." Brown holds a Bachelor of Arts in journalism and history from Miami University.